“If you subscribe to the caricature of devout religious believers as mostly sanctimonious hypocrites, the kind who rake in cash and care about human life only when it is unborn, come visit the doctor here,” observed New York Times columnist Nickolas Kristof from the Nuba Mountains of Sudan. “Dr. 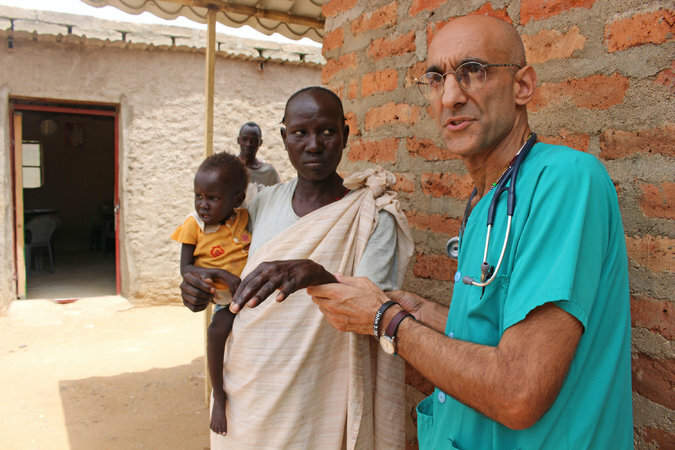 Tom Catena, 51, a Catholic missionary from Amsterdam, N.Y., is the only doctor at the 435-bed Mother of Mercy Hospital nestled in the Nuba Mountains in the far south of Sudan,” reports Kristoff. “For that matter, he’s the only doctor permanently based in the Nuba Mountains for a population of more than half a million people. A Muslim paramount chief named Hussein Nalukuri Cuppi offered an even more unusual tribute. “He’s Jesus Christ,” he said. Er, pardon? The chief explained that Jesus healed the sick, made the blind see and helped the lame walk — and that is what Dr. Tom does every day. You needn’t be a conservative Catholic or evangelical Christian to celebrate that kind of selflessness. Just human.